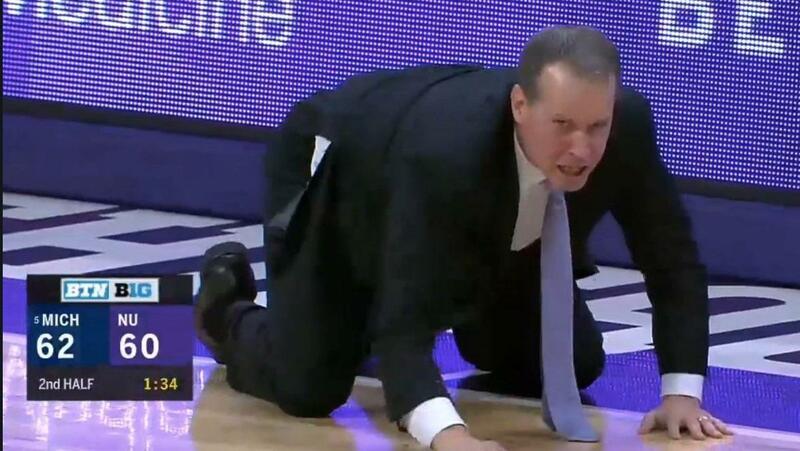 Here’s Northwestern head coach Chris Collins after Michigan’s 62-60 win in Evanston. Thankfully Reddit has given us this screenshot to paint a picture of his feelings. With all joking aside, I thought Chris did a heck of a coaching job last night. Yes, he got some calls/bounces to go his way, but he made the right call to keep Law in with 3 fouls in the 1st, and a few other “risky” decisions that paid off and gave his team a chance. Coached to win.